I know firsthand how much of a pain it is to spend a Satuday afternoon out in the yard either mowing the lawn or doing some form of gardening. The loud noises generated by many of the garden devices aren’t safe for our ears to begin with, but to make matters worse on myself, because it’s so excruciatingly hot some days and so incredibly boring to work in the sun, I crank up my iPod to get some entertainment on while I work. Adding insult to injury, I’ve probably deafened myself twice from the loud music and the loud tools. 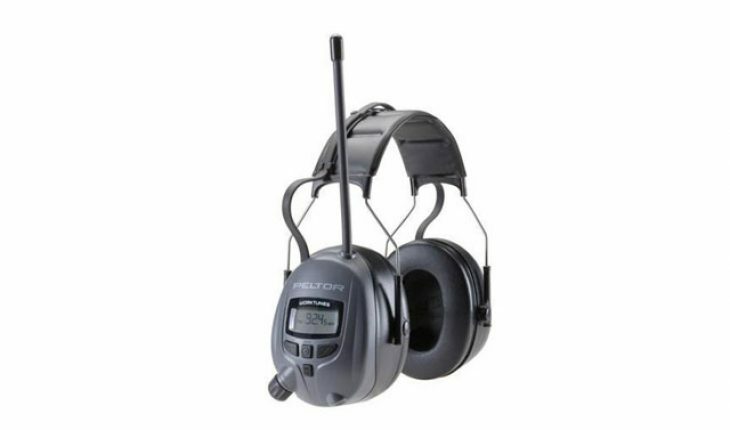 Peltor fixed both of those problems entirely by developing a revolutionary product that not only reduces outside noise from tools, but also provides a built in radio to listen to while you work. Our compliments to this product aren’t many, but there’s not too much to say about these Peltor headphones. First off, the radio function of this device gets great reception. I live in an area that gets many radio stations and they all come through loud and clear. It’s not too tough to adjust the frequency you’re listening to, meaning that it shouldn’t be too difficult to tune into your favorite radio station. In addition to being able to listen to the radio, which is actually a bonus, these headphones do a very good job at blocking out outside noise. It was very difficult to hear the lawn mower or the blower while it was running with these headphones on. I was quite surprised that such a simple set of headphones would be able to drown out that much noise. Also, and probably a big selling point to many people interested in buying something like this, the earmuffs are comfortable. I’ve had headphones that have had very poor earmuff quality and after an hour or so of wearing them I was ready to take them off from the pain. These Peltors, unless you’ve got large ears, will sit snug on your head for hours at a time. There’s a distinct difference between noise cancelling and noise reducing. These headphones are noise reducing, meaning that they block out noise by simply covering your ears enough to prevent other sounds from coming through. Noise cancelling headphones are ones that use batteries to actively filter certain frequencies from reaching your ear. This means that you can “turn down” the volume of the lawn mower and still be able to hear outside voices, which can’t be done with this pair of headphones. Everything gets turned way down and if someone sneaks up on you, you won’t hear them at all. Our other big complaint was the entertainment selection on these headphones. While we didn’t have a problem with getting certain stations, some users complained that these headphones were picky about what stations they picked up, making it tough to find something to listen to. And that leads us to our other point…why is there no iPod or MP3 player input? Very few people listen to the radio anymore, so why bother with it? An iPod jack would have been much more helpful. At the end of the day, beggars can’t be choosers when it comes to the entertainment they use while doing yard work. These phones are great at ear protection and not so great at entertainment selection.